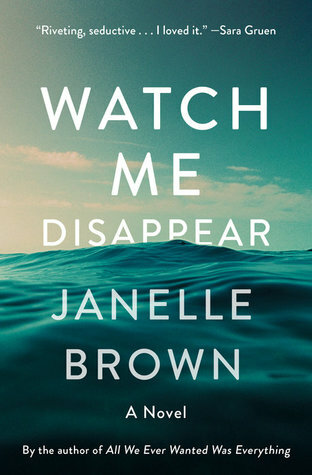 I would like to thank Random House Publishing, Spiegel & Grau, NetGalley, and Janelle Brown for the ARC of “Watch Me Disappear” by Janelle Brown for my honest review. The genres of “Watch Me Disappear” are Fiction(Adult) and Mystery and Thriller. Jonathan Flanagan and his adolescent daughter, Olive are mourning the loss of Billie Flanagan, who has simply disappeared. Billie, Jonathan’s wife, and Olive’s mother had gone on a solo hike a year before. The only thing found on the hiking trail is Billie’s boot. Jonathan is able to declare his wife as legally dead at the end of the year. Olive starts have strange visions of her mother, encouraging Olive to continue searching for her. Jonathan is drinking to cope, and Olive is searching to find herself, and feels lost. The author describes the characters as complicated, complex, confused and flawed. Some of the characters seem quirky and strange. Jonathan goes through boxes and Billie’s computer and finds pictures and references that seem to indicate deep SECRETS. There are clues to Billie’s earlier life, that Jonathan didn’t know about. As Jonathan investigates his wife’s disappearance, there is confusing information that makes him wonder if Billie is alive or not. What motivation would make a loving mother and wife want to disappear? What person or persons would want to harm or hurt Billie? How can secrets affect the relationships with loved ones? Who is telling the truth? These are questions that Janelle Brown has me reflecting on. There are twists and turns in this novel. I especially enjoyed the Epilogue! I would highly recommend this intriguing novel for those who love a good mystery. Happy Reading! !